Everyone today is familiar with J.K. Rowling, author of the modern day classic series starring Harry Potter. The books are best sellers and the movies based on them have each been major blockbusters. Her stories have inspired an entire generation of readers since Harry Potter and the Philosopher's Stone was published in 1997. The series has changed the face of young adult fiction, a genre which before was not nearly so universally embraced by both teenagers and adults. Today some of the best selling books in general are young adult novels, and the genre has exploded to the point that it's a major money-maker for publishers and a large, dominating presence in book stores. 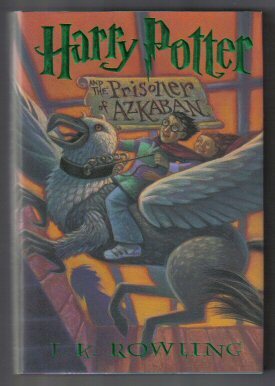 But before Harry Potter became a household name, Rowling's publishers believed that boy readers would have no interest in reading a book about a boy wizard if the name on the front cover let slip that the author was a woman. So Jo Rowling chose the middle initial “K” for her mother (she herself has no middle name) and published under the more gender neutral J.K. Rowling instead. Of course, publishers couldn't have known that Harry Potter would be perhaps the most influential and important books in the modern age and that the author's gender would have not mattered at all. Rowling also chose to publish under a male pseudonym Robert Galbraith when she began writing murder mysteries. 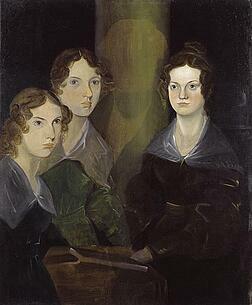 The Brontë sisters are three of the most important writers in all of English history, but when Charlotte, Anne, and Emily first began their writing careers, each of them used a male pen name, publishing under Currer, Acton, and Ellis Bell respectively. Of course now Charlotte's Jane Eyre, Anne's The Tenant of Wildfell Hall, and Emily's Wuthering Heights are all considered literary masterpieces. Each of them are still in print today and are often included in high school and university curriculum. The dark, intense, and sometimes violent aspects of these novels however led the sisters to believe that to publish, they had to release their books without using their given names. They believed that their works would be taken more seriously if they were thought to be written by men. Amantine Lucile Aurore Dupin is a French writer best known by the pseudonym George Sand. Sand was well known for both her novels and memoirs, as well as her political writing. Sand was a staunch feminist, rejecting many restrictive conventions of the time, and she spoke out on behalf of the poor for much of her life, before becoming more conservative as she grew older. Sand was also infamous for her romantic relationships, which notably included the composer Frédéric Chopin and Jules Sandeau, the latter from whom she derived her pseudonym. Sand and Sandeu initially coauthored works together under the name Jules Sand. However, she made her solo literary debut with the novel Indiana (1832) which was her first use of her own famous George Sand name. Some of her other more well known works include Mauprat (1837) and A Winter in Majorca (1842). 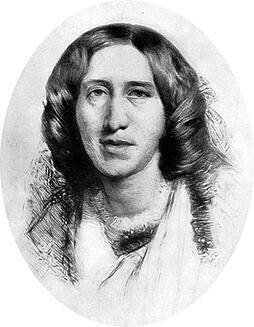 19th century writer Mary Ann Evans is best known by her pen name George Eliot and for her seminal novel Middlemarch (1871-72), which is considered one of the best novels ever written. Though Eliot was already established in the literary world as assistant editor of the Westminster Review, when she turned her eye to fiction, she took up a male name to create distance between her writing and her already existing body of work as a critic. Her goal was to hopefully avoid many of the stereotypes and erroneous beliefs surrounding what should and should not be true of works written by women. Her other works include the classic Silas Marner (1861) and The Mill on the Floss (1860). Alcott is most well known for her classic book Little Women as well as it's sequels Little Men and Jo's Boys, which she published under her own name to wide success, but she also frequently chose to publish under the name A.M. Barnard. It wasn't until the 1940s that a rare book dealer found evidence that pointed to the fact that Barnard and Alcott were one and the same. Alcott published three novels under the Barnard pseudonym: Behind a Mask (1866), The Abbot's Ghost (1867), and A Long Fatal Love Chase (1866, published 1995). It is believed now that she elected to use this name because the subject matter, which included adventure and revenge plots, was not considered appropriate for a proper 18th century woman.